As part of its move to strengthen the party’s organisational capacity, Gano Forum will hold its national council on March 23-24 next in the capital. The party is also planning to hold a public rally in the city by this month. The decisions to hold the council and the rally were taken at a meeting of Gano Forum central committee held at its Arambagh office in capital on Saturday. 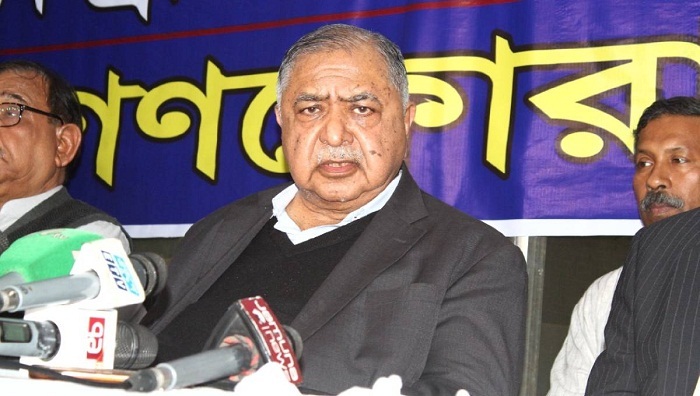 Talking to reporters after the meeting, party president Dr Kamal Hossain said they had good discussions at the meeting, and took various decisions based on consensus. Around 70 leaders of the party central committee joined the meeting that began at 10am and concluded around 3:45pm.